Police Report: On March 21, a 25-year-old man was found dead near the factory where he was working on Bhiwandi-Vasai Highway, Maharashtra. 25-year-old Krishna Gautam was found dead on March 21 near the factory where he was working as a machine operator. The police said that Gautam had injuries on his head and believes that he was killed while he was sleeping. The police arrested 22-year-old Ramukumar Singh, the co-worker of Gautam. He was the primary suspect of the killing. Preliminary investigations revealed that Gautam was against the relationship of Ramukumar and a woman. Ramukumar and Gautam often fought about the relationship. 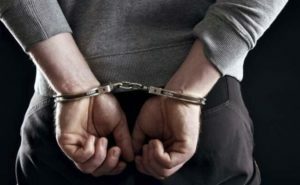 The police said that 22-year-old Ramukumar Singh killed Gautam on March 20’s midnight, the police said that a murder case has been lodged against Ramukumar.